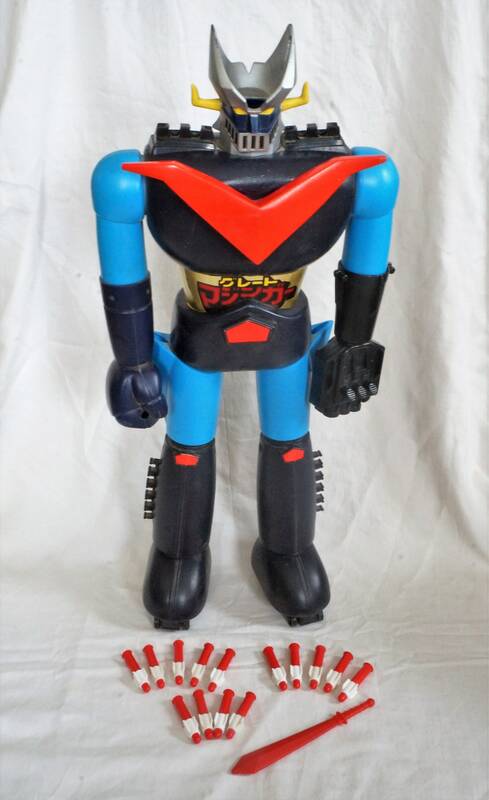 24 1970s Jumbo Machinder Great Mazinger Z Shogun Warrior from Japan Complete with all rockets, 2 swords, head plane! 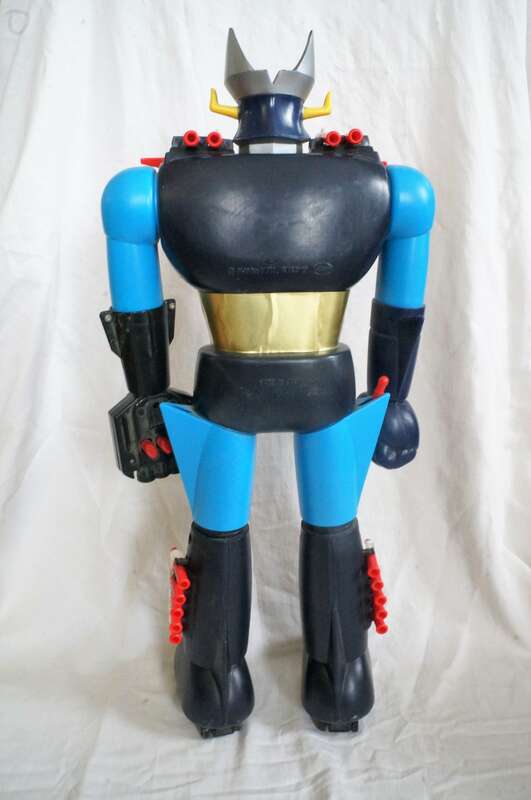 24" 1970s Jumbo Machinder Great Mazinger Z Shogun Warrior from Japan Complete with all rockets, 2 swords, head plane! 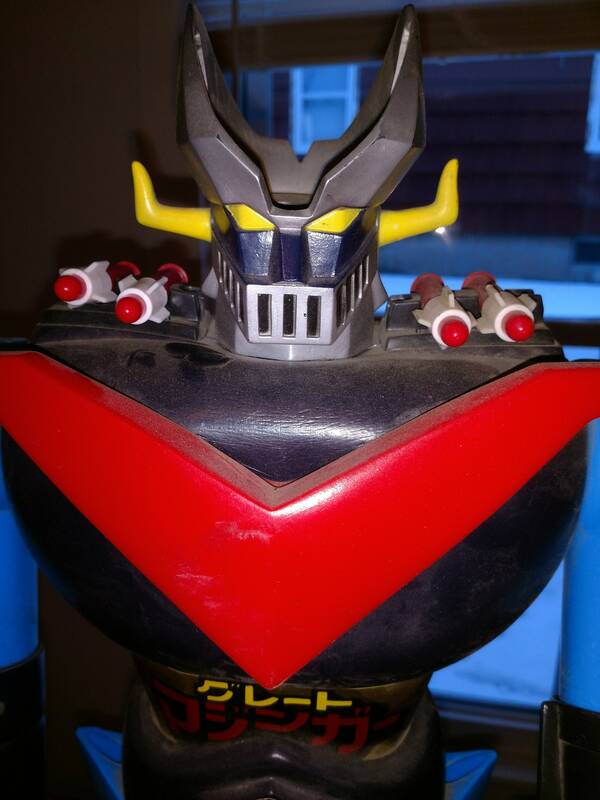 This Jumbo Machinder Great Mazinger Japanese import stands 24" tall and is in very good shape. 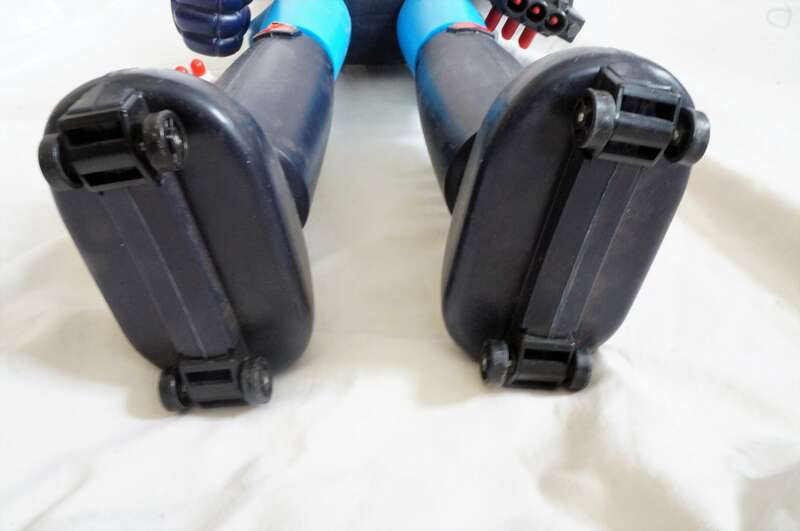 He has all 14 of his original rockets. 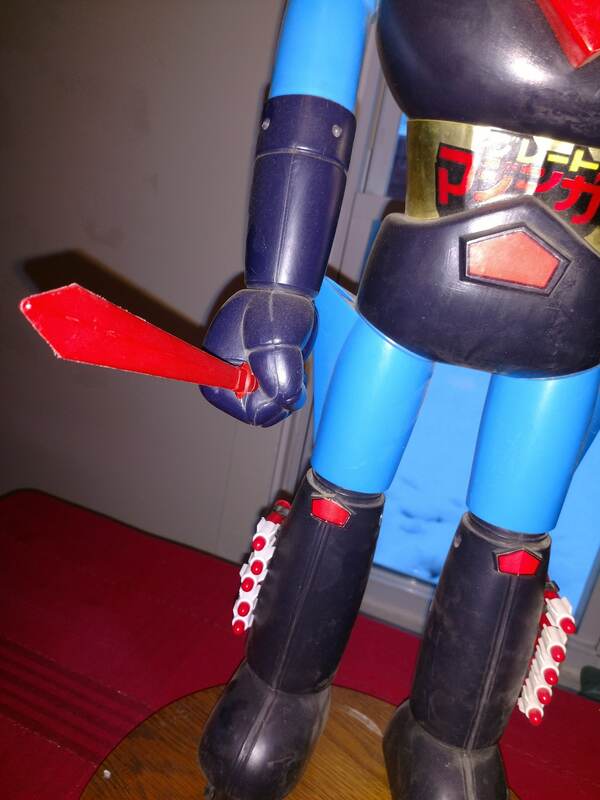 He has both of his original swords. He has the airplane that goes on his head. 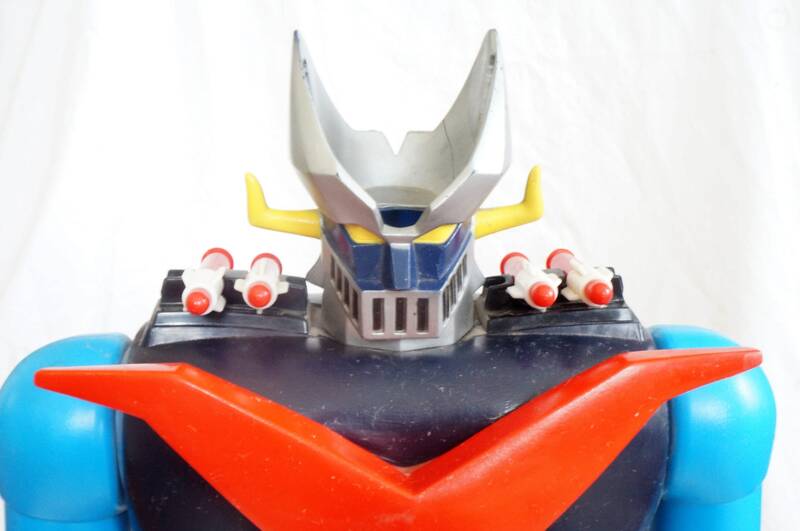 He has his chest piece. 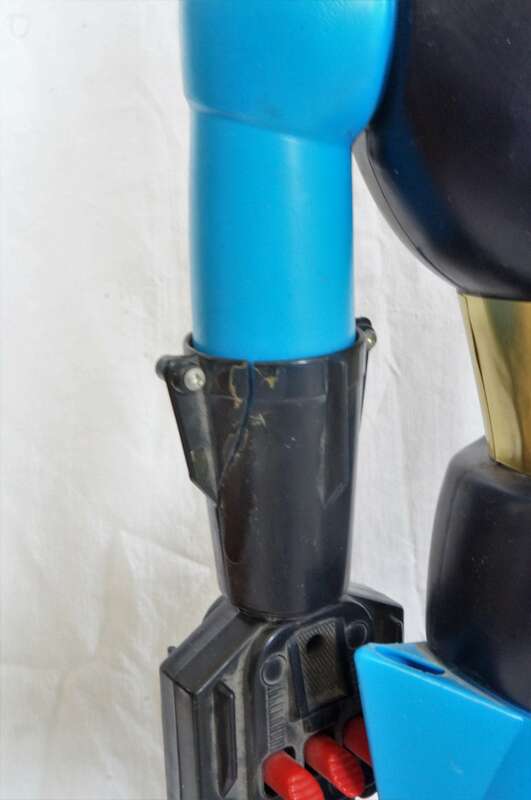 He is in great shape aside from the fact his left gauntlet is cracked. 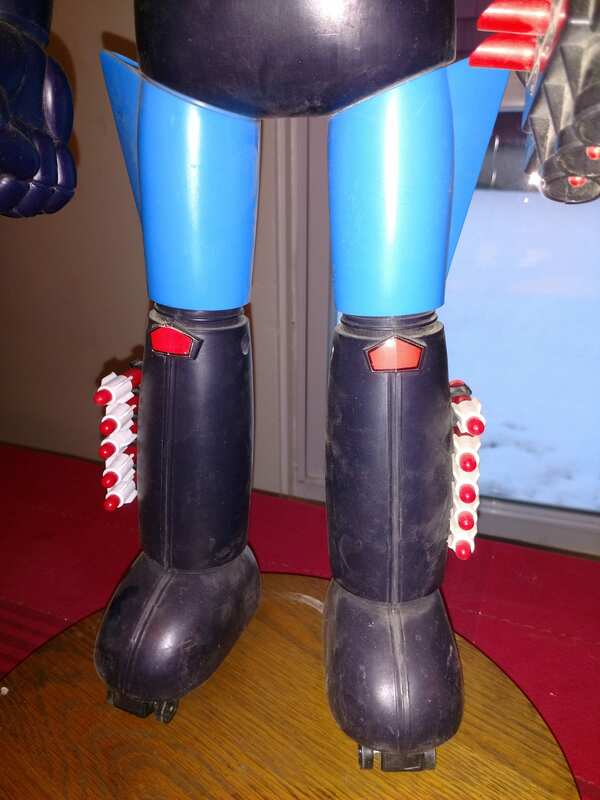 Fantastic 1970s Japanese Shogun Warrior. The discoloration in some of the pix is just dust. 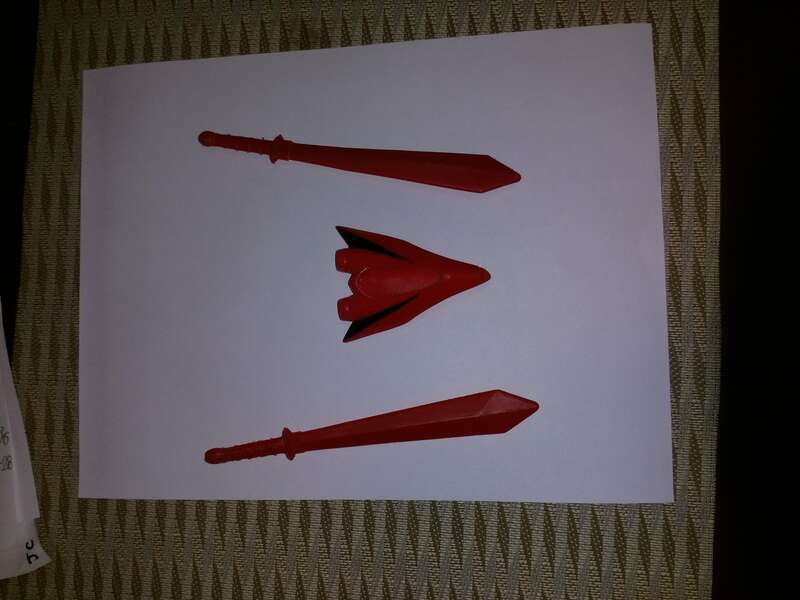 As I just located the additional sword and airplane head piece, I will update the photos as soon as I can to show him with all his gear on.